We are currently in the build-season. Normally, we meet at the Blue Valley CAPS building Monday through Thursday from 6-8 pm. In addition, we will meet on Saturdays from 9 am to 3 pm. 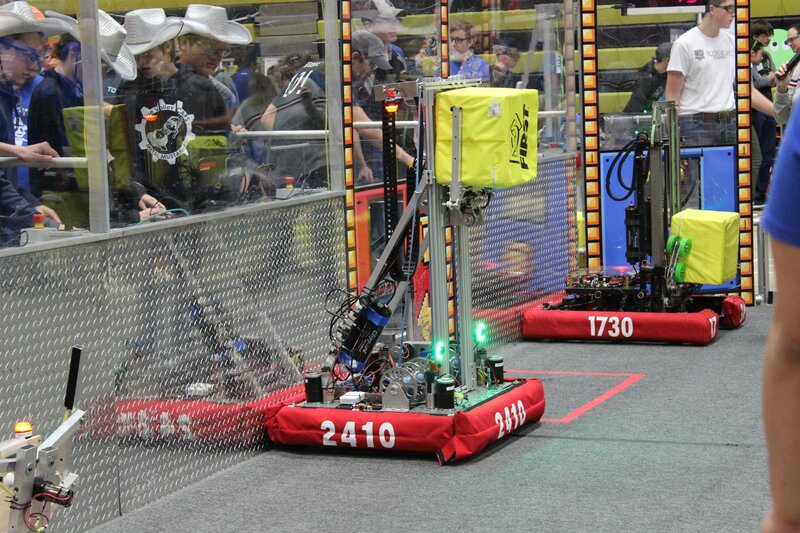 We are FRC Team 2410, The Metal Mustangs, from the Blue Valley School District in Overland Park, Kansas. 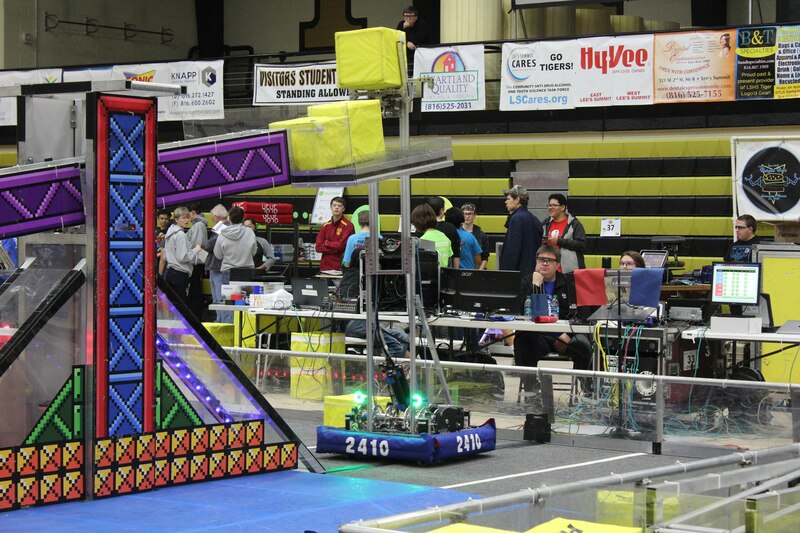 Our robotics team competes in FIRST (For the Inspiration and Recognition of Science and Technology) Robotics Competitions. 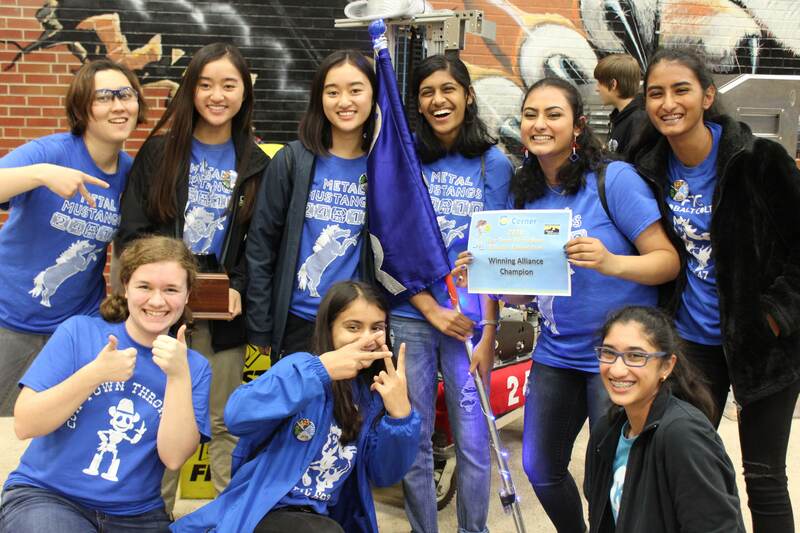 In FRC, high school students worldwide build a robot in a 6-week time span for the year's competition. We are dedicated to providing opportunities for high school students to explore applications of science and technology as well as achieving personal growth and learning. Watch our Chairman's video below for some interviews from students and mentors that really explain the feel of the team. Look at the highlights of our 2018 season! 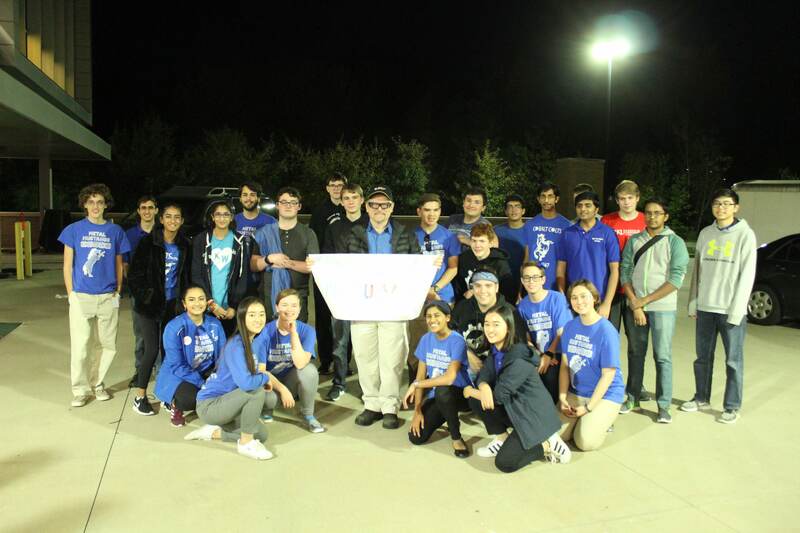 This video was submitted for the Chairman's Award, the highest honor given to FIRST Robotics Competition Teams, recognizing a team that best represents a model for other teams to emulate and best embodies the purpose and goals of FIRST. Questions? Get in touch! or email us at captain@mmr2410.com. 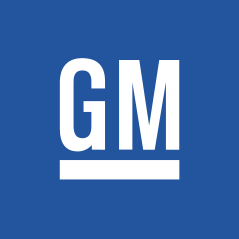 FIRST is a worldwide organization that promotes inspiration and recognition of science and technology. There are many different levels of FIRST, including: Jr. FLL, FLL, FTC, and FRC. 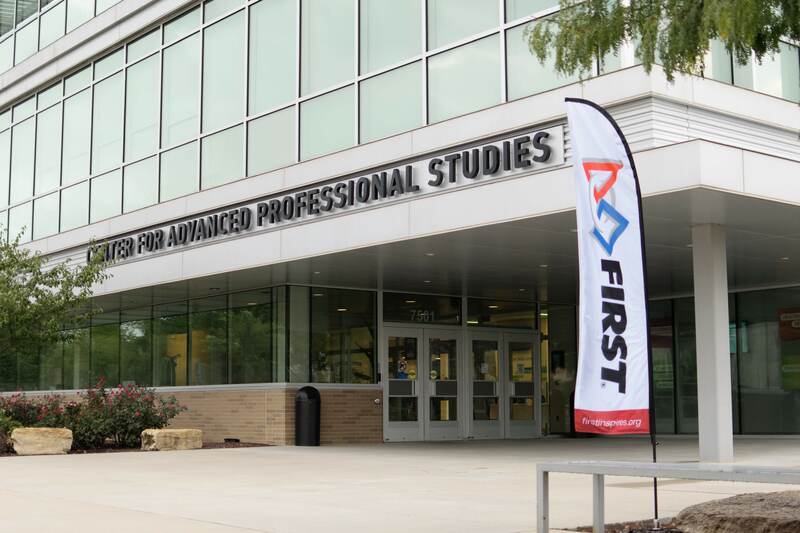 FIRST's mission is to "show students of every age that science, technology, and problem-solving are not only fun and rewarding, but are proven paths to successful careers and a bright future for us all." Want to learn more about FIRST? www.firstinspires.org.